I couldn't resist a 5* rating for this book because it's message inspires me. Makes me grateful as a military wife of 20+ years that people like Mr. Sinise exist and recognize the sacrifice made by our veterans, first responders, and their families. Mr. Sinise shares his journey growing up in the 70’s, untamed and unfocused, to the providential hallway moment where a single teacher introduced him to the dramatic arts. From theatre to blockbuster movies, Mr. Sinise shares that at the core of his existence he had a heart for veterans. 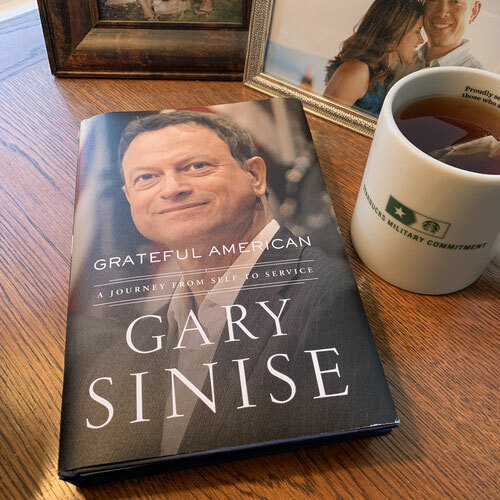 Whether it’s USO trips, Lt. Dan Band fundraising, building homes for severely injured veterans, to bringing joy to the children orphaned by the war, Mr. Sinise actively lives out his gratitude for American heroes. I am truly inspired by the work of Mr. Sinise and his lasting commitment to do something impactful with his life and am encouraged to "do as much as I can, for as many as I can, for as long as I can".